All packages include coat, pants, vest or cummerbund, shirt, neckwear, pocket square, and cufflinks. Allure men have put an innovative twist on the traditional black tie look with their Black Onyx fabric which features a subtle vertical stripe woven throughout the 100% wool fabric. Styled into a single breasted, 2 button coat, featuring a peak lapel and straight flap pockets both with black satin trim, they have created a garment which conveys both contemporary-cool and impeccable taste. 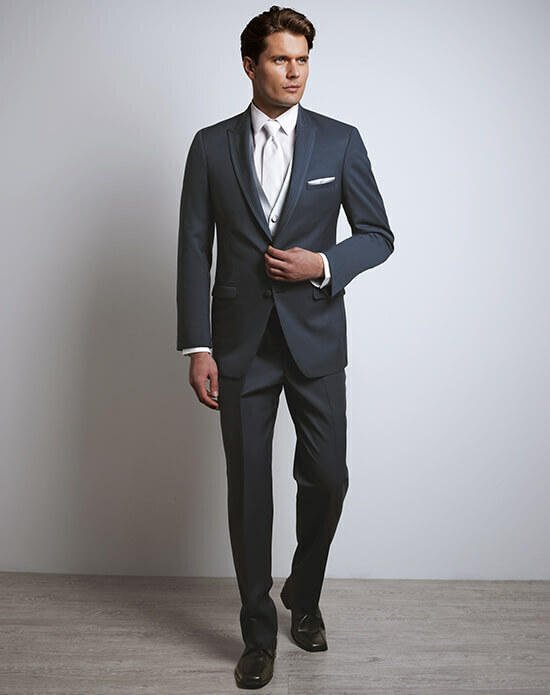 Allure Men’s fashion- forward wool blend Slate Blue fabric is ultra-elegant. They have styled this into a single-breasted, 2 button, side vented coat which features a peak collar and straight flap pockets which are accented in a self-fabric as opposed to satin which creates a less formal but still sharp look. 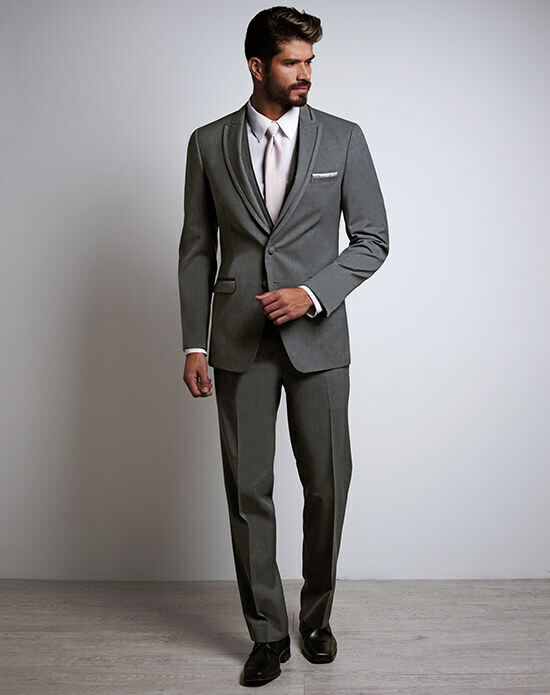 Allure Men’s fine wool blend Iron Gray fabric is the darkest shade on their gray spectrum. They have styled this into a single-breasted, 2 button, side vented coat, which features a peak collar and straight flap pockets both of which are accented by a matching satin trim. 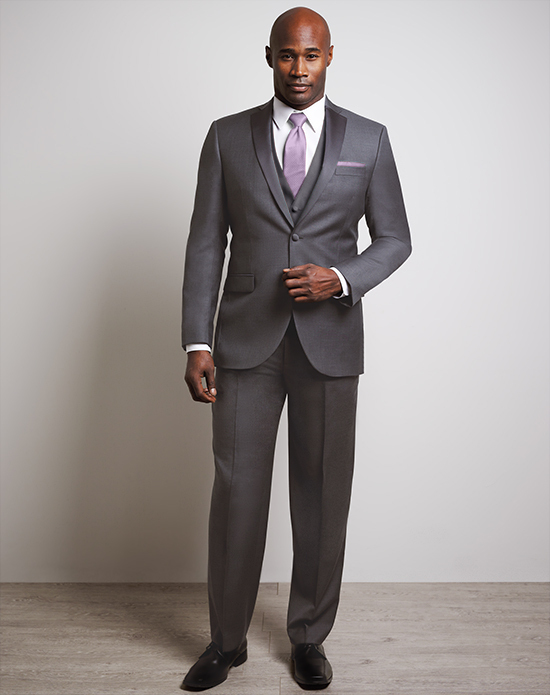 Allure Men’s 100% wool Heather Gray fabric falls into the middle of their gray spectrum. They have styled this into a single-breasted, 2 button, side vented coat which features a notch collar and straight flap pockets, both of which are accented with a matching satin piping. Allure Men’s Cement Gray is the lightest shade on their gray spectrum. 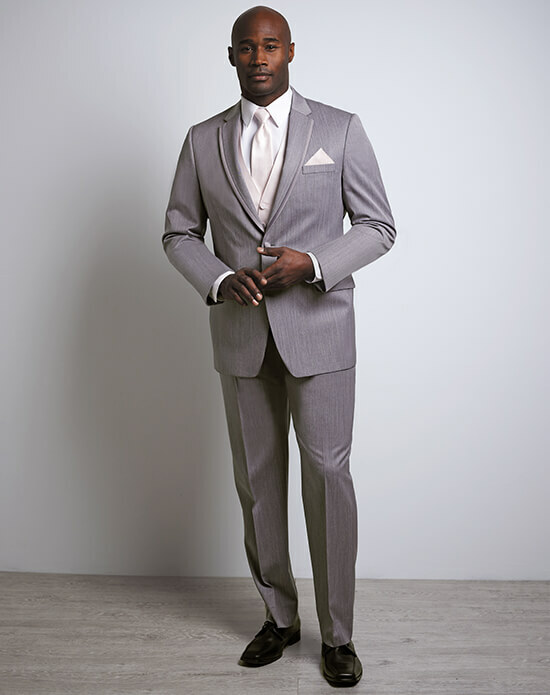 This superfine wool blend fabric has been styled into a single-breasted, 2 button, side vented coat which features a notch lapel and straight flap pockets which are accented in a self-fabric as opposed to satin which creates a less formal but still sharp look. 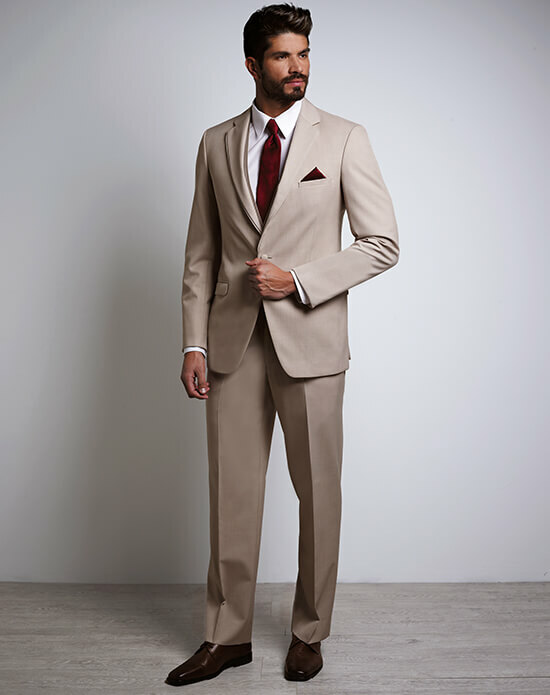 Allure Men’s Tan fabric was created with destination events in mind. They have styled this wool blend fabric into a single-breasted, 2 button, side vented coat which features a notch collar and straight flap pockets, both of which are accented with a self-fabric piping to create a less formal but still sharp look. 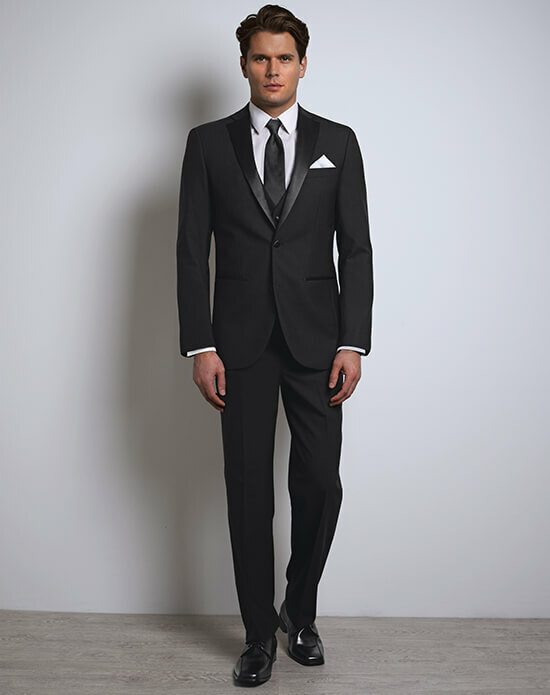 Michael Kors’ take on the traditional black tux is sleek and timeless. Crafted from a luxury 100% Venetian Wool, they have created a single-breasted , 2 button, side vented coat which also features a notch collar and jetted pockets, both of which are beautifully accented with a matching satin trim. Michael Kors’ offering of their Midnight Blue tux embraces the concept of ‘Blue is the new Black tie’. Crafted from a luxury 100% Venetian Wool, they have created a single-breasted , 2 button, side vented coat which also features a notch collar and jetted pockets, both of which are beautifully accented with a matching satin trim. Michael Kors’ Charcoal Tux introduces a twist to the traditional black tie trend but retains its formality through sleek tailoring and the use of luxurious 100% Venetian wool. They have created a single-breasted, 2 button, side vented coat which also features a notch collar and jetted pockets, both of which are beautifully accented with a matching satin trim. 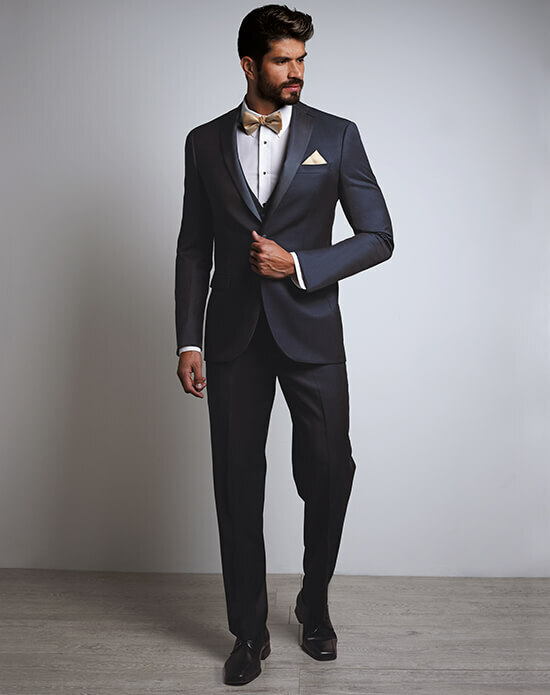 Justin Alexander’s Black tux celebrates the gold standard black-tie look but takes it to a new level through meticulous tailoring and the use of 100% superfine lightweight wool. The fabric has been superiorly crafted into a single-breasted, 2 button, center vented coat. The coat also features a notch collar and jetted pockets which are beautifully accented with a rich black satin. 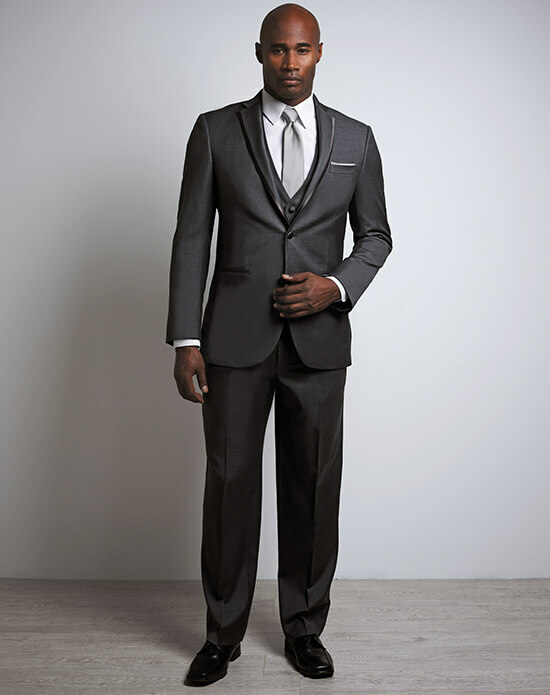 Justin Alexander’s Storm Gray fabric offers a sublime alternative to the black tux whilst still maintaining that level of formality. This 100% superfine lightweight wool has been superiorly crafted into a single-breasted, 2 button, side vented coat. The coat also features a notch collar and jetted pockets which are beautifully accented with matching (storm gray) satin. LUXE Faille’s Ink Blue tux is completely of the moment. The 100% wool fabric has been woven from a mix of blue and black threads to create a beautifully unique and rich color. They have styled this into a single-breasted, 2 button, side vented coat which also features a notch collar and straight flap pockets which have been beautifully accented by a navy grosgrain trim. 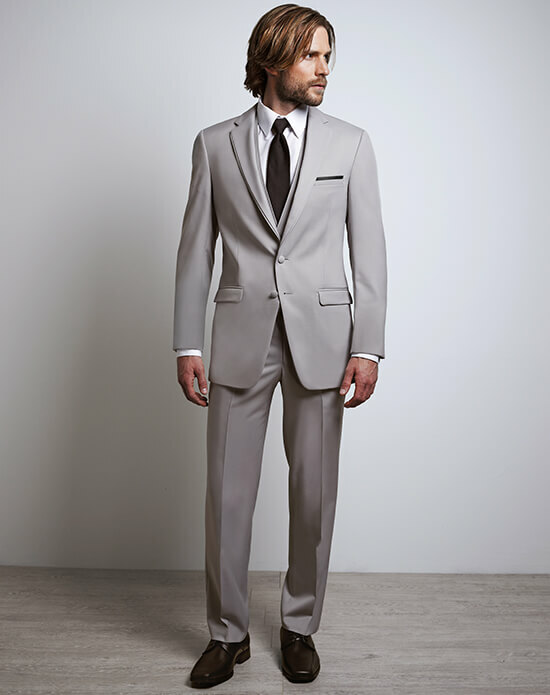 LUXE Faille's Steel Gray tux is a charming alternative to the standard black tie look. The 100% wool fabric has been styled into a single-breasted, 2 button, side vented coat which also features a notch collar and straight flap pockets which have been beautifully accented by a matching grosgrain trim. 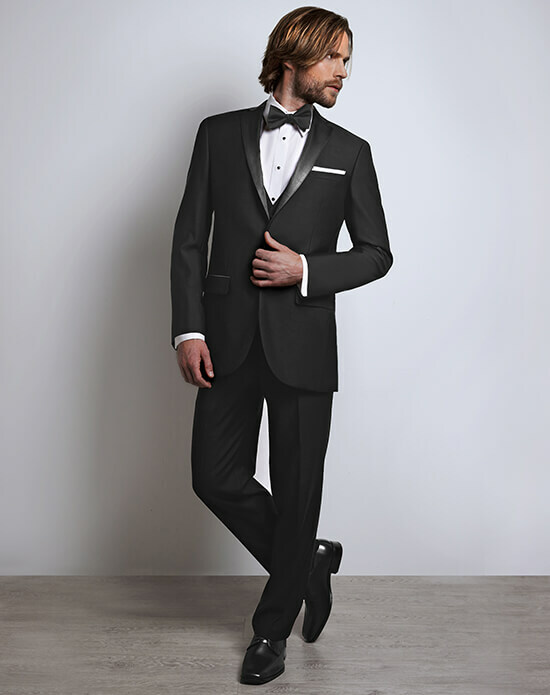 LUXE Faille's 100% wool black tux is sleekly tailored and ultra-elegant. They have reinvented the standard black tie look with the use of a grosgrain fabric, as opposed to the traditional satin, which features on the notch collar and pockets of this single-breasted, 2 button, side vented coat. 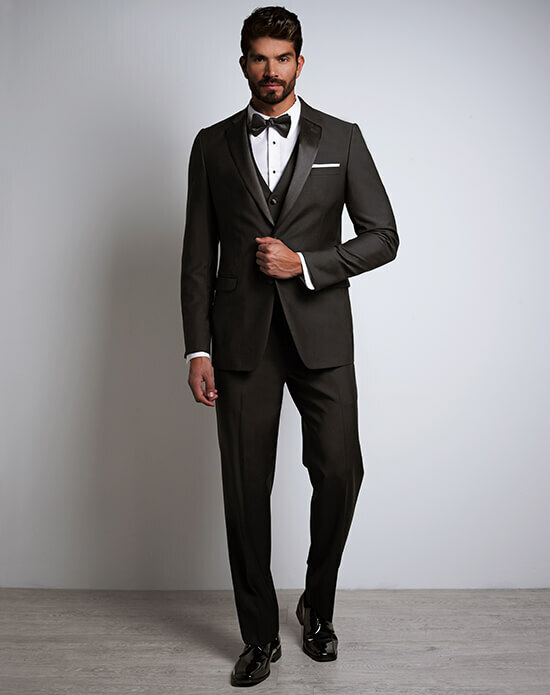 LUXE’s 100% wool black tux offers a classic look with a luxury handle. They have created a single-breasted, 2 button, center vented coat which features a notch collar and straight flap pockets, both of which are accented in a rich black satin. 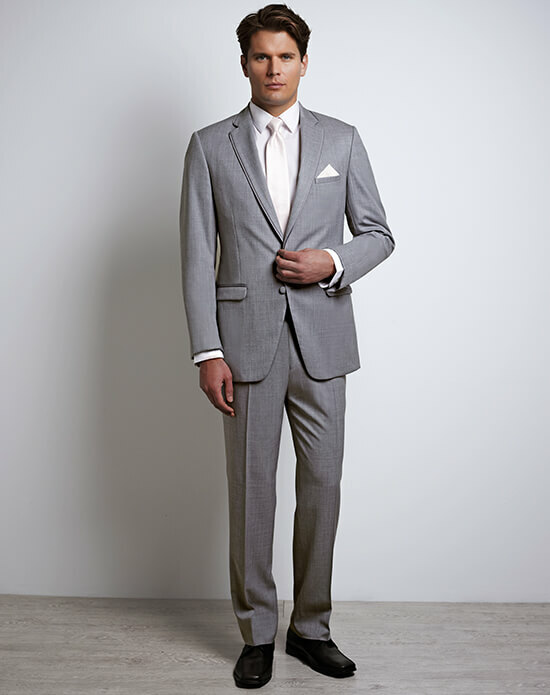 LUXE’s Gray tux is woven from a superfine wool blend in a crisp light shade to create a modern alternative to the traditional black tie look. They have styled it into a single-breasted. 2 button, center vented coat which features a notch collar and straight flap pockets, both of which are accented with a matching gray satin. Enter your email address and we will send you an email with instructions on how to reset it. Your Xedo account will allow you to save favorites, build and manage your party, and so much more. Join now.